The first leg of my trip was an America West flight to Los Angeles. 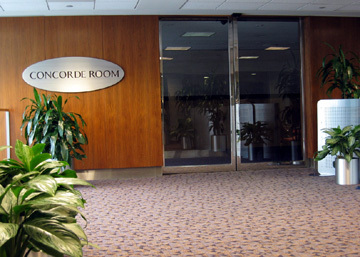 America West shares the same terminal as British Airways and our gate was right next to the Concorde Room. The Concorde recently made its last flight.